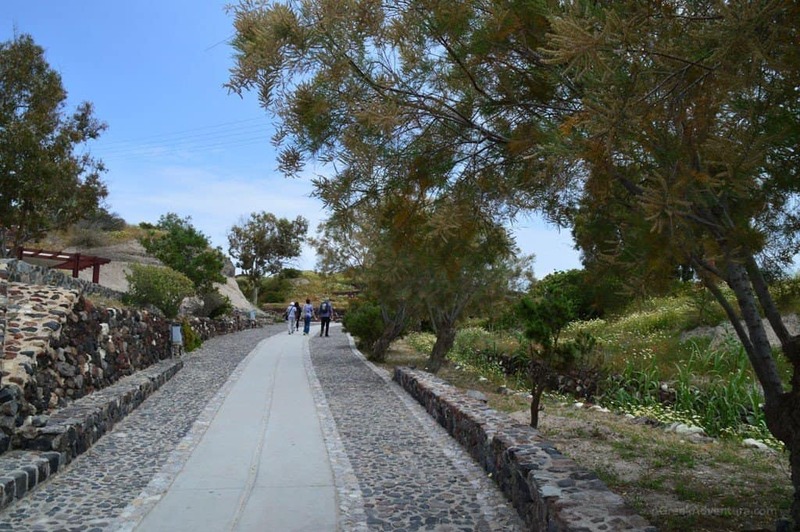 Visitors of Santorini who have a spark for learning about the history of Greece, must definitely visit the Akrotiri area where the Akrotiri archaeological site of Santorini is situated. You need to explore the Ancient Thera too. 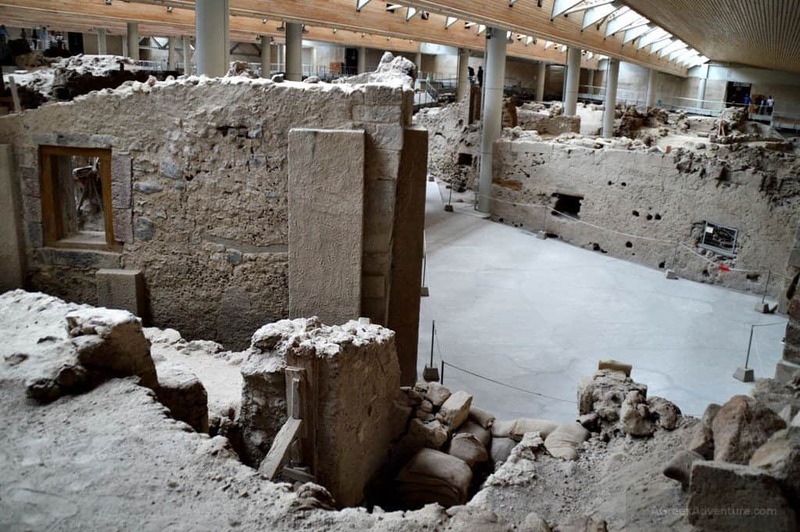 Akrotiri exhibits the excavation of a whole settlement who was covered with lava and destroyed after a volcanic eruption. 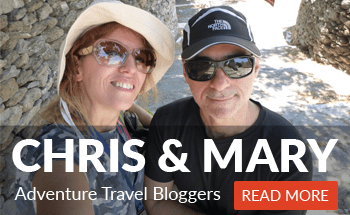 You may already know that what you see of Santorini is just one part of “the story”. Santorini looks like a crown, because the middle part sunk after the eruption. The volcano (named Nea Kameni) is visible from almost all famous locations of Santorini (Thira, Imerovigli, Oia), when you hike through them. 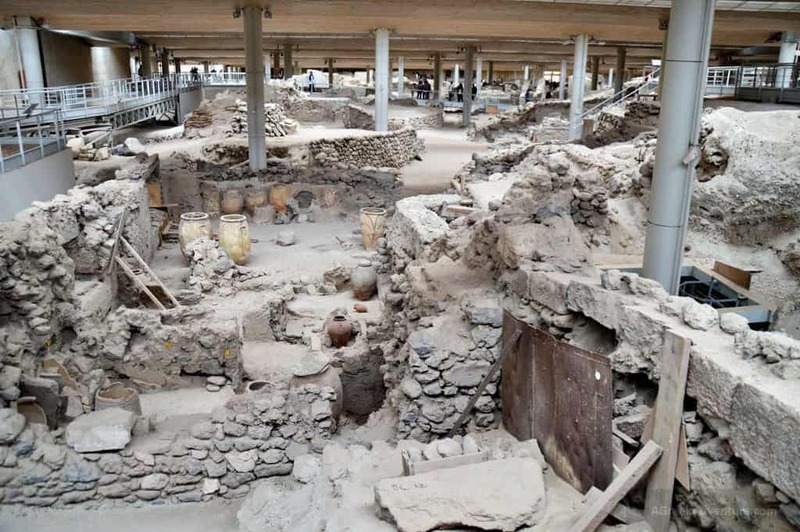 The settlement at Akrotiri was destroyed and covered with volcanic ash, plus a river of mud that went through. 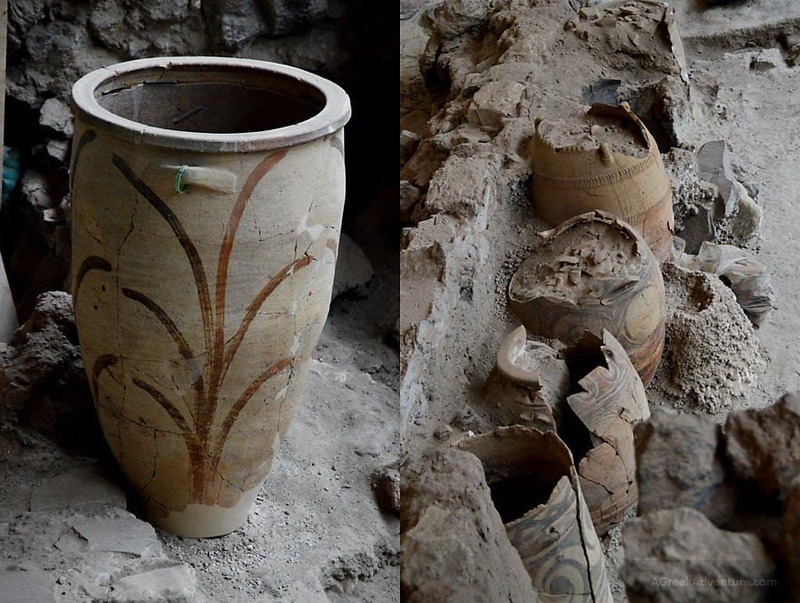 However, in Akrotiri, archaeologists uncovered houses and wall paintings of that era, as the ash preserved the remains of fine frescoes and many objects and artworks. Gradually a modern cover was put in place which protects and ventilates the whole area. There is an opinion from some historians that this place was the inspiration behind Plato’s story of Atlantis. This story was mentioned in Plato’s dialogues: Timaeus and Critias. 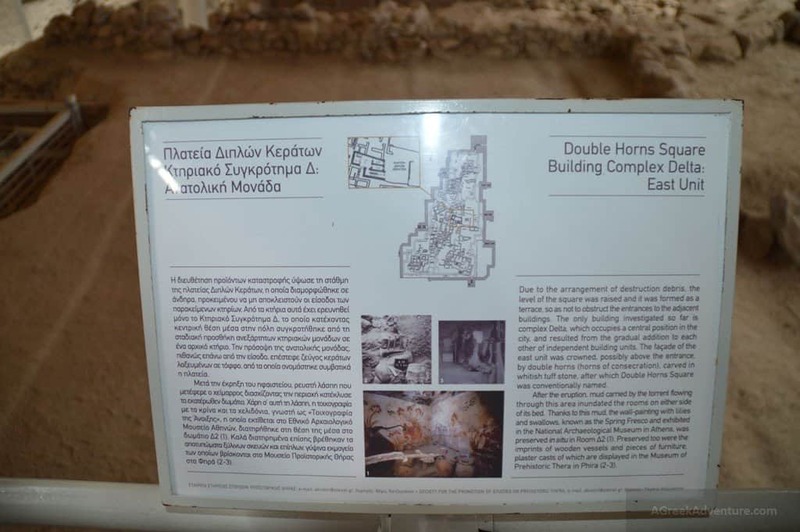 The excavation area of Akrotiri is very well structured and we were able to walk through the buildings, even inside them. There is a system of modern corridors and pathways for visitors which allows that. Along the pathways there is information about what you see and what was the name of a specific square. 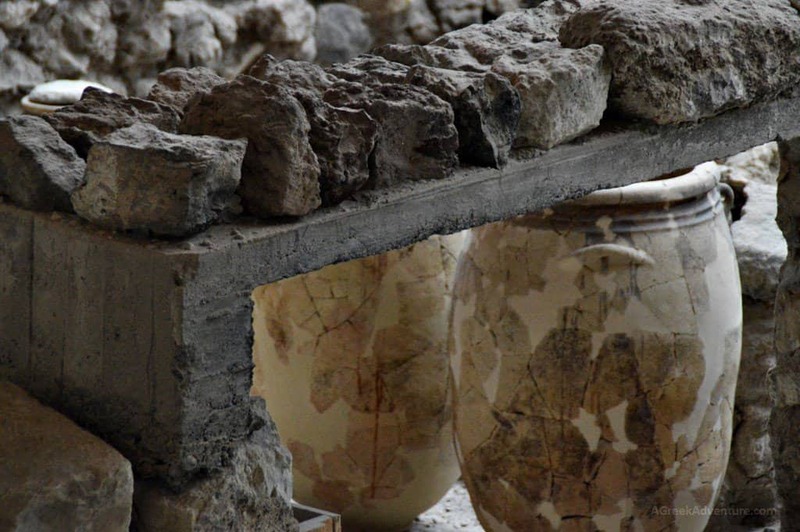 The various artifacts, frescoes and other things found have close similarity to those of the Minoan civilization (Crete). 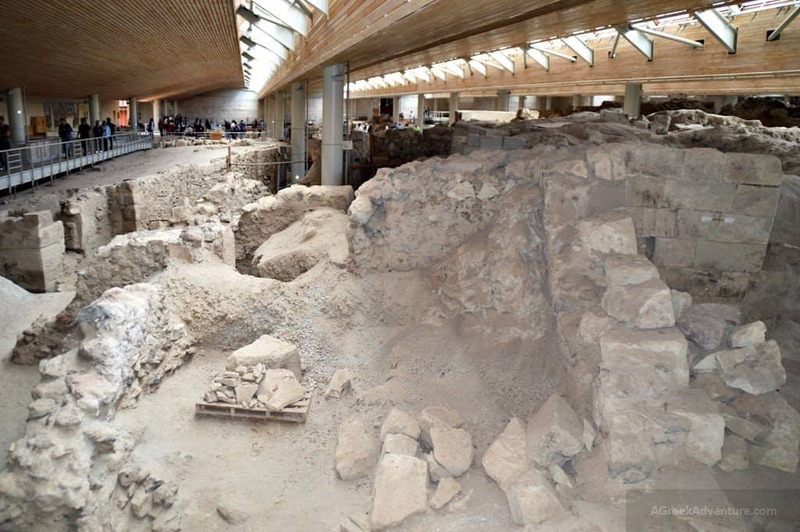 Akrotiri, is an interesting part of the island and many of the findings are displayed in the museums of Santorini. However, no skeletons were found, which means that locals left the place promptly before the disaster. 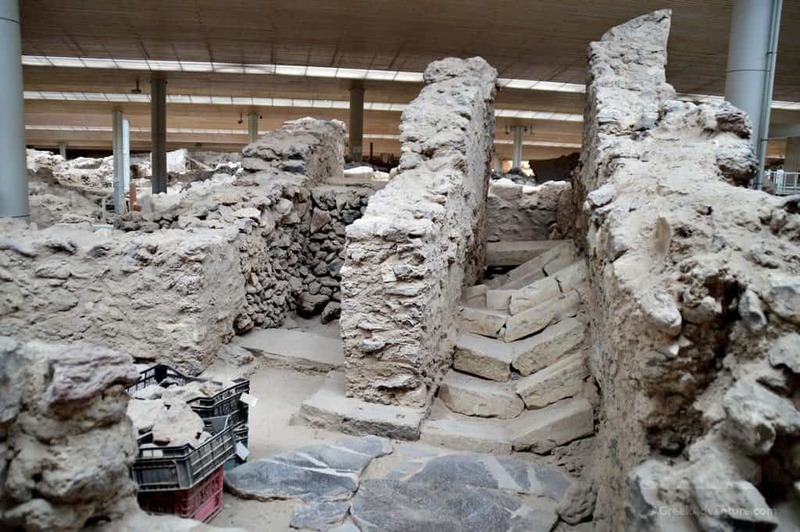 Santorini has many gems and Akrotiri is one of those. Do pay a visit. 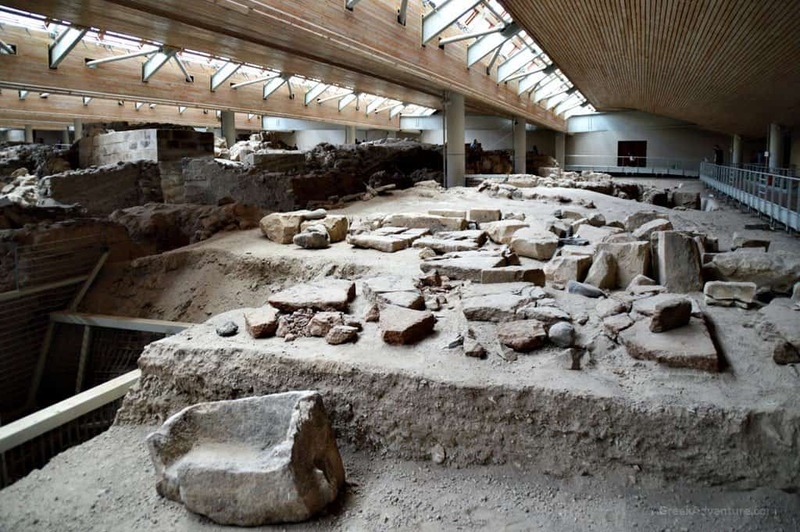 Such places can reveal a far deeper meaning of the history of the world, not only of Greece. 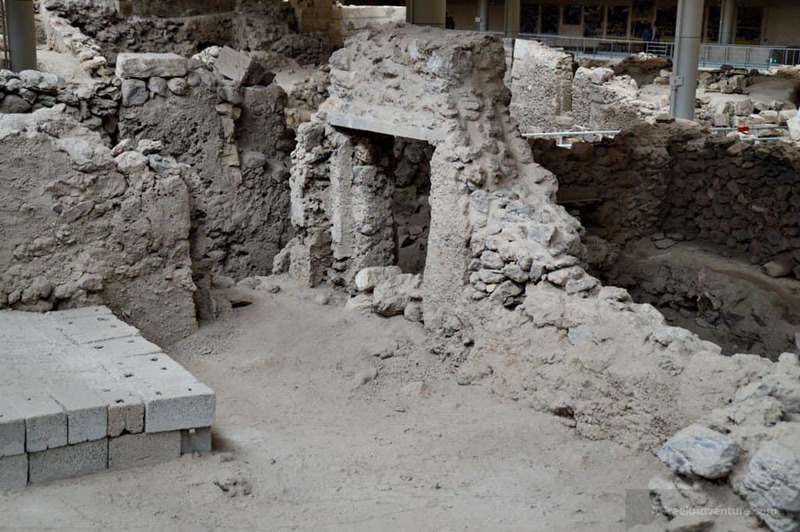 As Akrotiri, Santorini and Crete seem to connect in some mysterious ways, one can dive into wild mysteries. Who knows, maybe there is no coincidence that Atlantis is related to this place too. Do go for a swim at the Red beach. 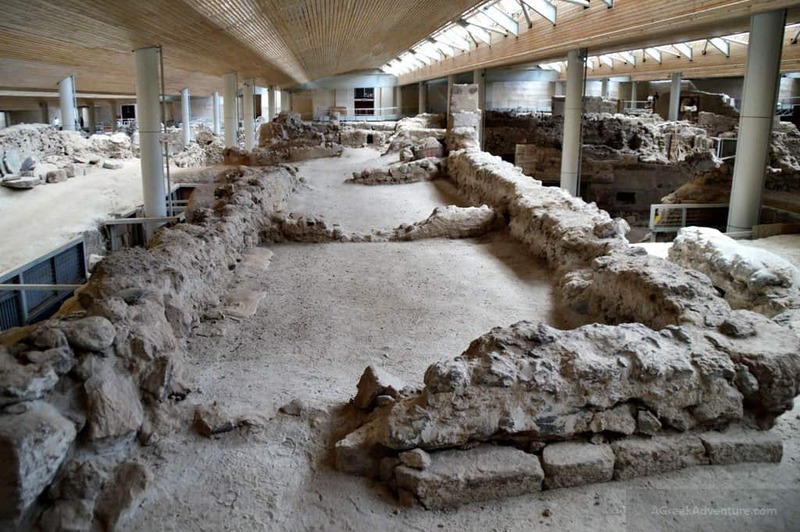 It is in a walking distance from the archaeological area and the museum. 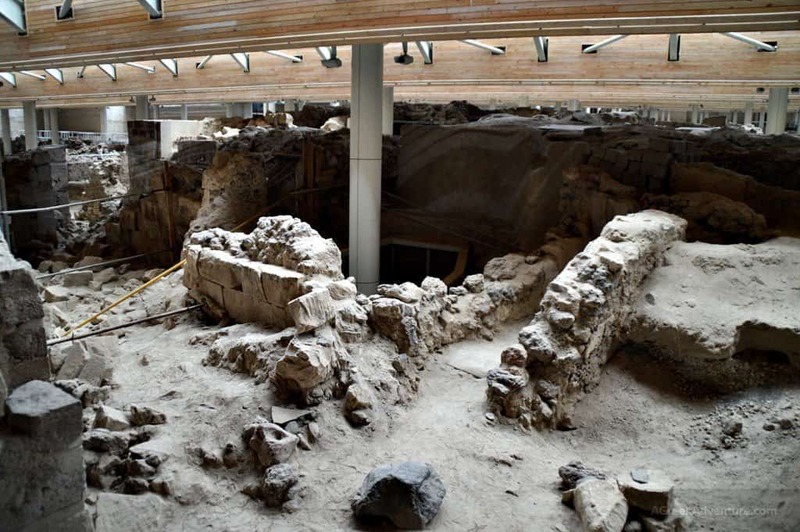 Have you been to Akrotiri archaeological site? If so we would love to hear about it.